Seeking a solution for maximizing the efficiencies throughout the file chart? How to make a file chart? 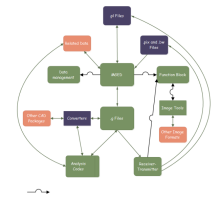 How indeed does one go about it, without seeing a template of file diagram? With Edraw, you can create clear and comprehensive file presentation with no prior experience. 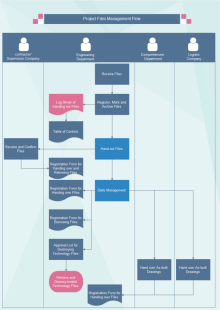 As you can see by studying the templates of file chart above. View the featured presentations, charts, infographics and diagrams in the File category. Free download templates about file on professional diagram sharing community. With Edraw, you can edit and print the free file diagram templates for personal and commercial use.